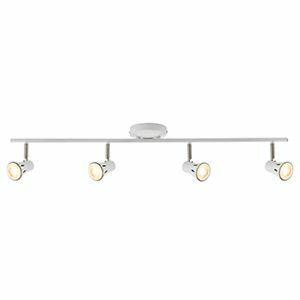 Four light ceiling spotlight bar with a gloss white finish. 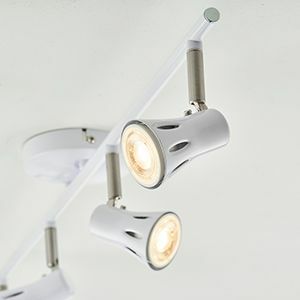 Adjustable to direct light as you need. suitable for use with LED lamps and dimmable. Matching items and other colour options available.